Bado's blog: Richard Thompson Annotates "The Complete Cul de Sac"
Last month the Billy Ireland Cartoon Library and Museum at Ohio State University opened the exhibition "The Irresistible Force Meets the Immovable Object: A Richard Thompson Retrospective" which looks at Thompson's body of work. First of all, congratulations. 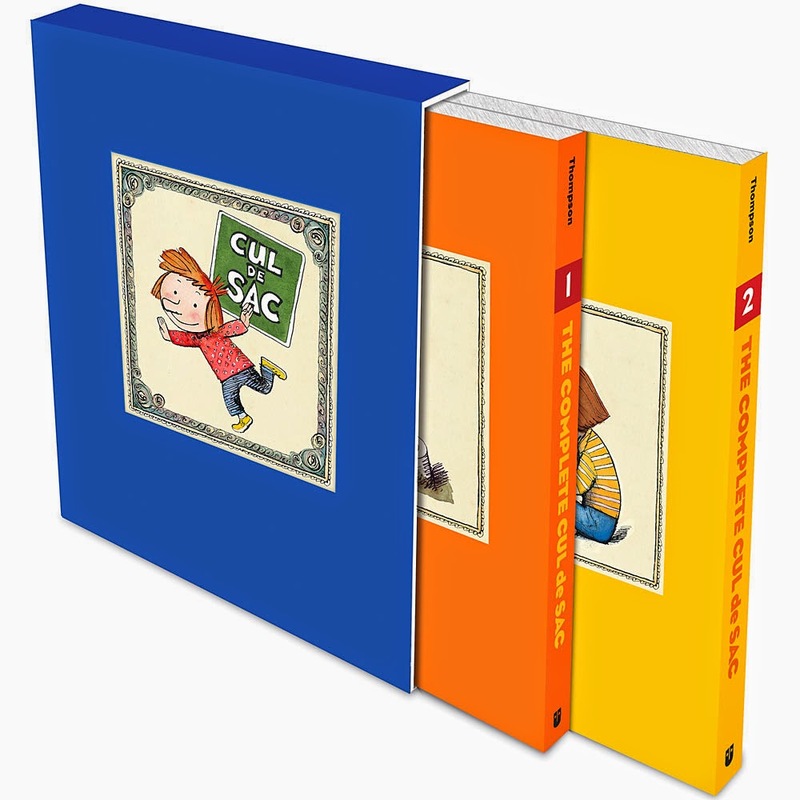 It was ten years ago -- as of February 4 -- that "Cul de Sac" debuted. I apologize for not bringing any tin or aluminum, but does it feel like a decade? Ten years in anything is remarkable. It's such a very round number that it lends itself to celebration with ease -- even if nothing much has been accomplished. 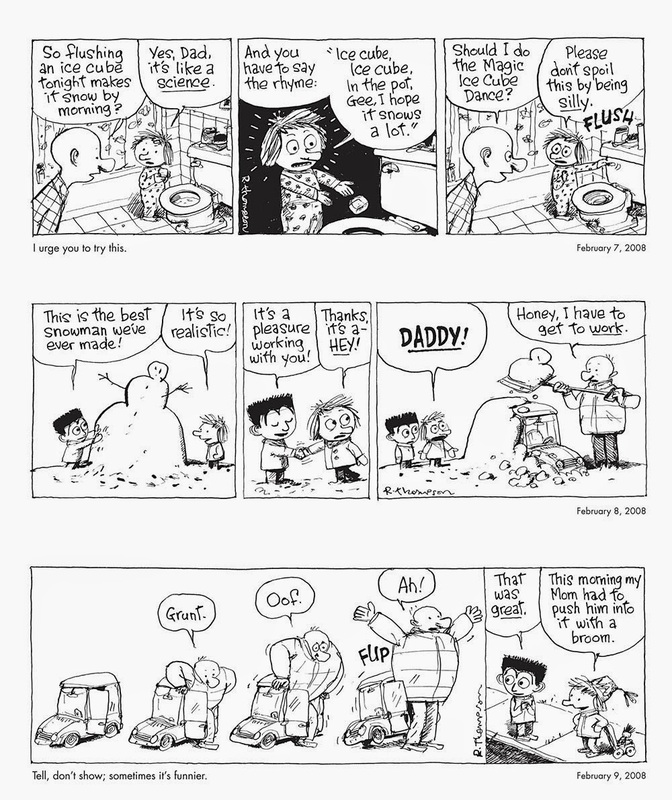 The early "Cul de Sac" [strips] were so different from the last strips that it's hard to see their relation. Mmmaybe. "The Art of Richard Thomson" has a chapter on the "Almanac." I don't think I saw the whole exhibit; there were too many people that I wanted to spend time with. What I saw of it was great but mostly I remember the crowd of familiar faces. My daughters both told me their favorite parts of the exhibit. 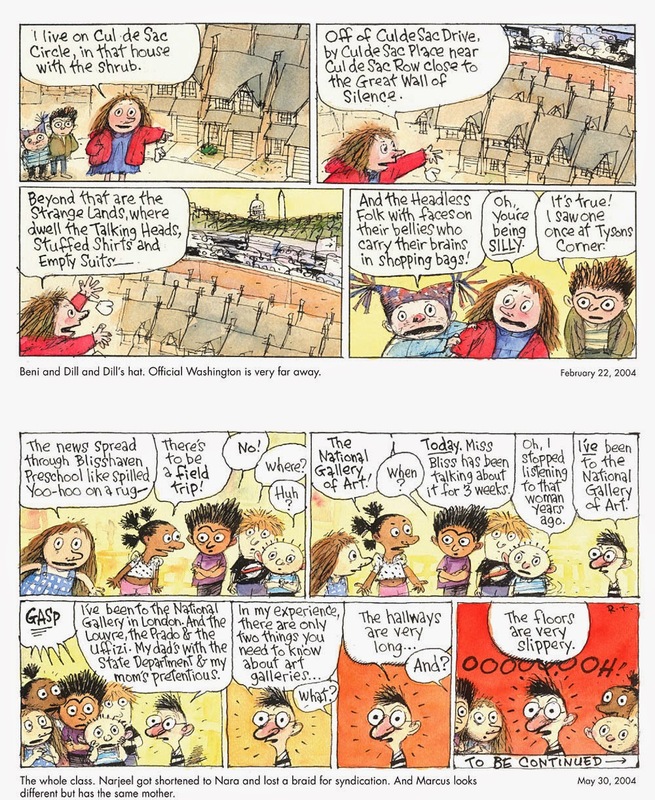 For my older daughter, it was seeing a bunch of people who where laughing at a cartoon on the wall. For my younger daughter, it was an original by Jack Kirby in the adjoining room. Discuss this story in CBR's Community Forum forum.